So, who else is totally excited for the Star Wars movie on Friday? I'm seeing it on Sunday with my dad and my husband but I know a lot of you are probably going to brave the crowds and see it on opening day! My friend at work is one of those brave folks and wanted to look like a cute Ewok. 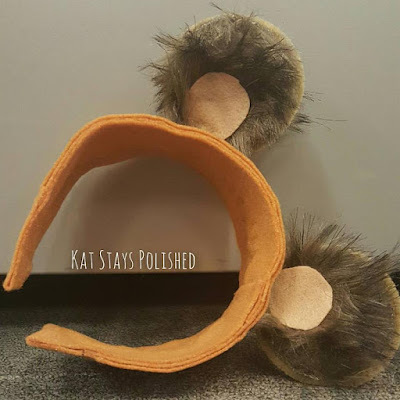 Well, I helped her make a pair of ears that really are so adorable and really inexpensive to make! 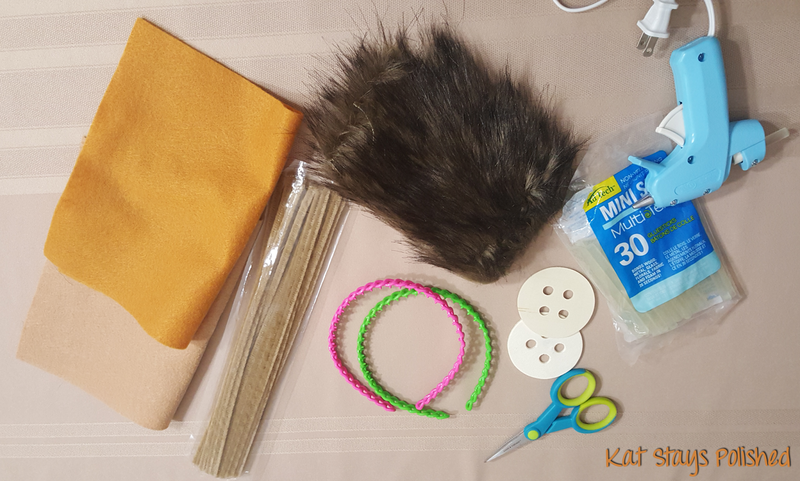 Here is everything you need to make a set of ears for yourself! I got all of my supplies at Michael's and each piece of material cost under $4 if I'm not mistaken. Watch my video tutorial below for the step-by-step instructions! If you have any questions about it, leave me a comment on the video or on this blog post! Are you going to the Star Wars premiere? Let me know and tell me if you try out this tutorial! My other friend wants me to make a Princess Leia bun headband so I might try that next! *All items were purchased. This post is in no way affiliated with or sponsored by Star Wars or Disney. Very cute Ewok Ears you crafted. How fun! This looks totally doable for a costume/themed party. That is adorable! I hope she isn't tall enough to block the view of the person behind her, though! lol. People are going to be crazy at this movie premiere. This is too cute. My 2 year old granddaughter was Princess Leia for Halloween and the buns were the hit of the costume. So cute! I'm not going to get to see the movie until after the 1st of the year. These are so cute and very creative of you.